Lenovo has launched two new Android tablets, Yoga Tablet 8 and Yoga Tablet 10 in India. 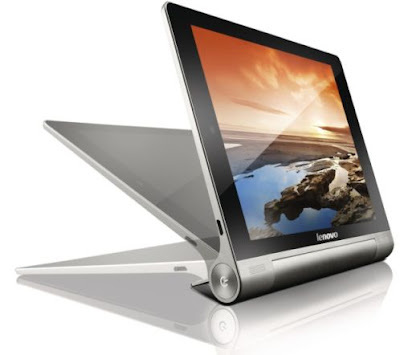 Lenovo Yoga tablets can be used three different modes including hold,tilt and stand mode. 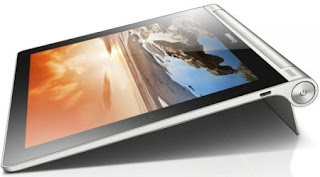 Both Lenova tablets have the similar configurations and differed in the size only such as 8-inch and 10-inch display. Lenova Yoga 8 and 10 runs on Android 4.2 Jelly Bean and powered by 1.2 GHz MediaTek Quad-core processors. Yoga Tablets comes with 8-inch and 10-inch display boasting a resolution of 1280x800 pixels. The tablet has 1 GB of RAM, 16 GB/32 GB of internal storage and the external can be expanded up to 64 GB using microSD cards. Yoga tabs features 5 MP rear camera with auto focus and 1.6 MP front facing camera for video calls. The tablet provides 18 hrs of battery time and the connectivity features are 3G via Sim card, Wi-Fi, Bluetooth, GPS and microUSB. Lenova Yoga Tab 8 is priced at Rs.22999 and Lenovo Yoga Tab 10 is priced at Rs.28999. If you pre-order the tablet within November 24, you can get the free accessories bundle including earphone, flip cover and scratch guard worth Rs.5000. The shipments will be started from November 25, 2013 and the tablets will be available on retail stores from that date.